Flash your number and logo on the cover of this custom portfolio! Just the basics provided by this polypropylene portfolio are plenty sufficient. 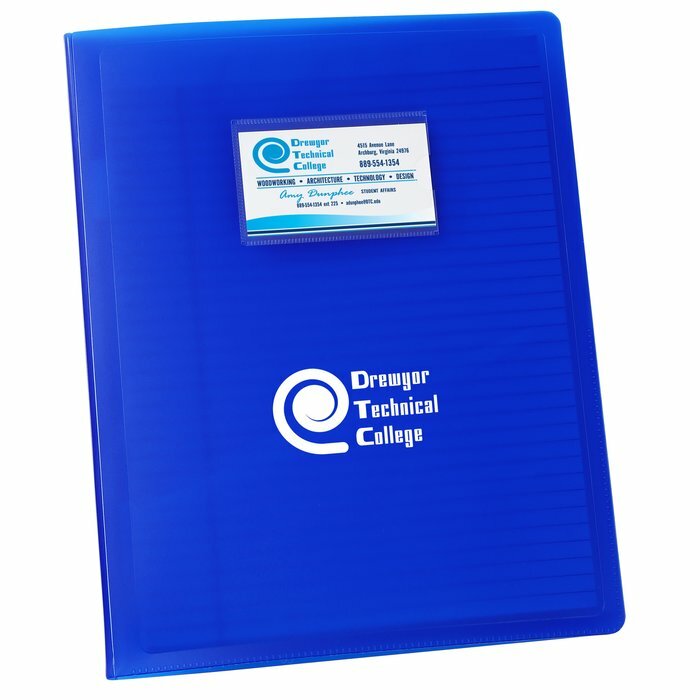 Introduce yourself and your company right from the start with the clear business card pocket on the front cover. Inside, the portfolio provides you with a clear plastic document pocket, card pocket and pen loop for your other important items of business. Furnished with a refillable 30-page lined notepad for catching thoughts, product ideas and comments. If you need this padfolio faster, check out item #119191-24HR for our 24-hour shipping. Size: 12-1/4" x 9-1/2" x 3/8".